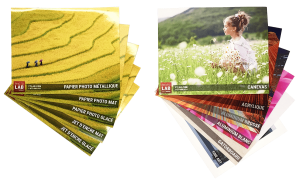 Are you looking for an affordable and versatile printing material that can be used in large format prints for your home, office or at tradeshows and commercial events? Look no further than Gatorboard. Gatorboard is a rigid and economical material that is constantly gaining in popularity due to its suitability to many display situations. It can be used for simple decoration as well as for professional exhibition. This material is 3/16th inch thick and is composed of synthetic foam, dense and solid, which is compressed between two thin wooden surfaces. This makes it a matte looking surface which is strong and resistant while keeping its light weight. Unlike its cheaper cousin foamboard, Gatorboard is very strong and does not bend. UV ink is applied to all gatorboard prints with a superior-quality inkjet printer. This makes gatorboard not only resistant to scratches, but also resistant to outdoor light and sunshine. 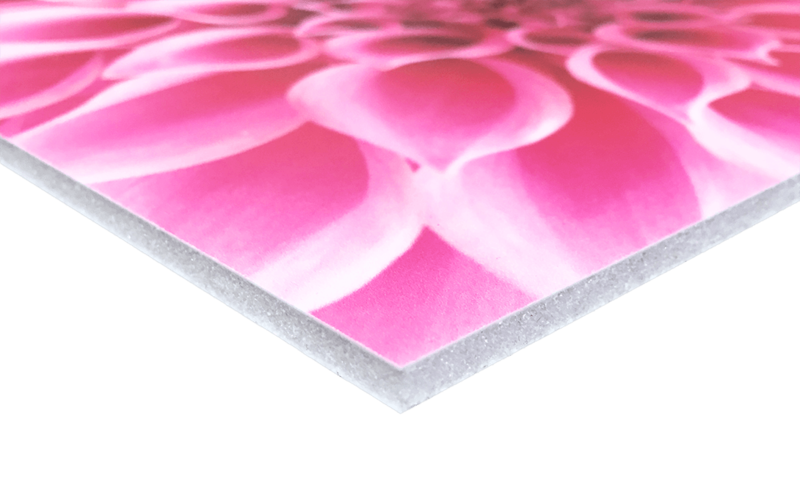 Gatorboard allows you to print extra large format images without having to provided a rigid, glued backing surface. It’s a perfect printing material for exhibition images or frequently changing interior decors. We print on Gatorboard in 5 days. 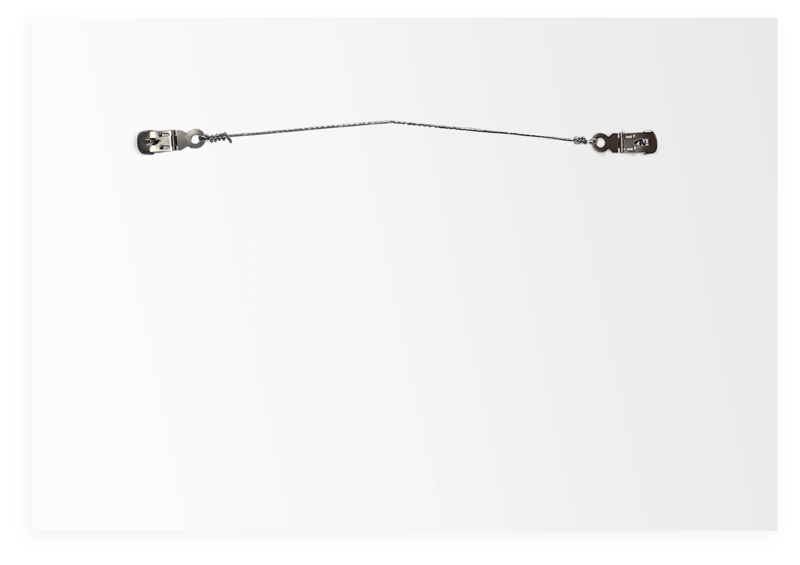 Each print is fitted with two hooks to hang on a wall. 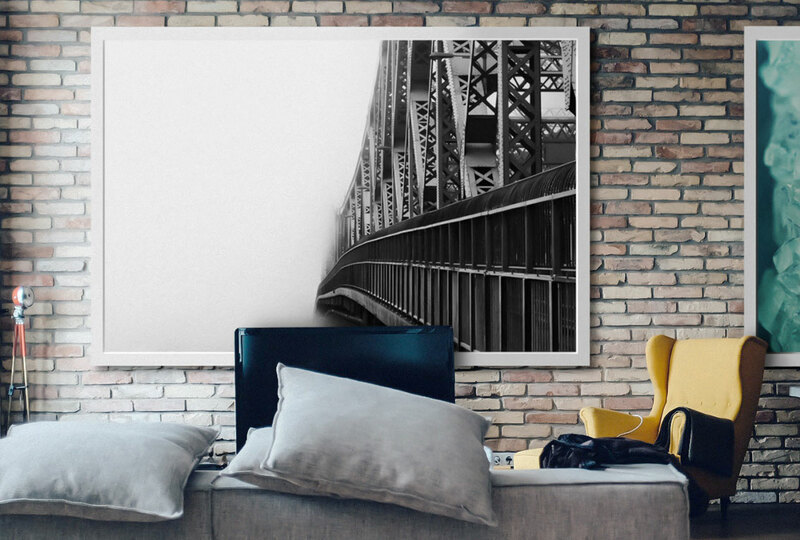 Alternatively, you can also choose to have your print custom framed by choosing from our selection of frames. Use our ROES software to send your orders directly to our lab. Have any questions? Just contact us or pass by our lab and we’ll be happy to give you all the information you need. We print gatorboard prints from 8×10 inches all the way up to 48×96 inches.